How to reach: To reach the tidal bench marks from the the Port Mansfield water tower in town on Texas Highway 186 (Port Mansfield Drive), proceed east on Texas Highway 186 for approximately 0.3 km (0.2 mi) to the end of the road at Laguna Madre. The bench marks are located along Texas Highway 186 and in the harbor area. 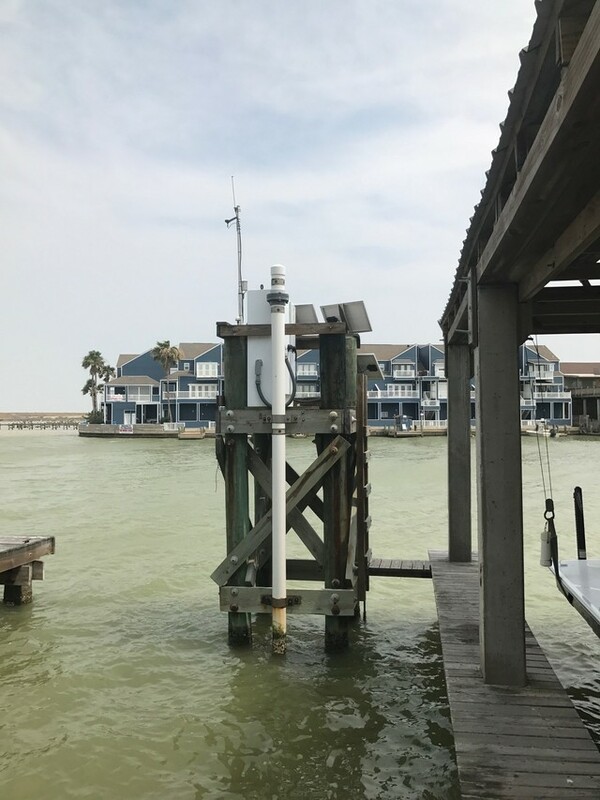 The tide gauge is on the first fishing pier north of Texas Highway 186 inside a gated community called Mansfield Point. Station can be accessed by boat or by calling the local Harbor Office at 956-944-2325.